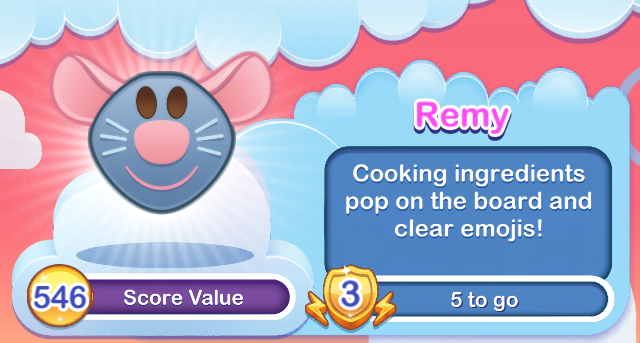 Cooking ingredients pop on the board and clear emojis! Remy brings good ingredients together to create wonderful, enjoyable food combinations. Chef Skinner does not approve.